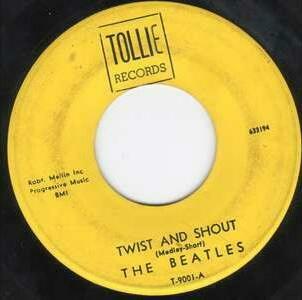 "Twist And Shout" by The Beatles. The in-depth story behind the songs of the Beatles. Recording History. Songwriting History. Song Structure and Style. There are a total of twenty-five cover songs that have been recorded and released by The Beatles during their EMI career. Each of these songs (including “Maggie Mae”) were previously included in their repertoire, which were chosen because of their love for these songs. Even though it was their desire to record their own compositions, the rigors of writing 14 songs per album, two albums per year, as well as four singles per year, became too great a task to fill with all original compositions. This presented them with the opportunity to officially record the ‘cream of the crop’ cover songs that they loved as well as knew like the back of their hands. The vast majority of these twenty-five songs, while all being essential ingredients to The Beatles’ catalog, were adaptations of the original versions which, arguably, didn’t eclipse the genuineness of the original source. Although The Beatles’ aim was to ‘take the world by storm,’ they respectfully recorded these numbers with the intention of not straying too much from the original arrangements. Instead, they adapted that original arrangement within their limited ‘guitar-bass-drums’ format and did so very admirably. 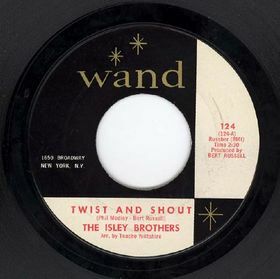 The undeniable exception to the above rule is “Twist And Shout.” Although The Beatles adaptation was a direct reflection of the hit version by The Isley Brothers, the result turned out to become the definitive version of the song. Peaking at number 2 for four weeks on the US Billboard charts, it out-charted the Isley’s rendition (peaking at number 17) by leaps and bounds. 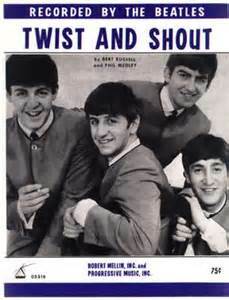 As of April of 1964, “Twist And Shout” became, and will always be known as, a Beatles song. Chubby Checker demonstrating "The Twist." The history of “Twist And Shout” begins with the impressive career of songwriter/producer Bert Russell (aka Bert Berns). He can easily be called a pioneer in rock and roll as well as soul music in the sixties. 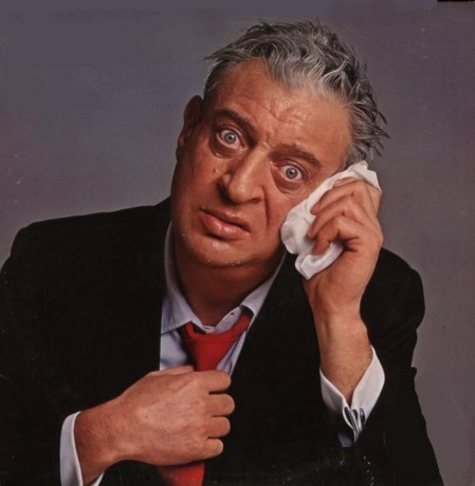 Bert was born in the Bronx, New York, on November 8th, 1929, to Russian Jewish immigrants. His first introduction to music was studying classical piano when quite young. He contracted rheumatic fever as a child, but developed an intense love for music of all kinds, including soul, gospel, blues and Latin salsa music, which eventually led him to working in nightclubs in Cuba. After his return from Cuba in 1960, he returned to New York and started working as a songwriter with the Brill Building group under the hire of Bobby Mellin. His first noteworthy composition was his collaboration with Phil Medley on the Latin-influenced song “Twist And Shout,” which was written to capitalize on the huge “twist” dance craze that began in 1960. Phil Medley’s other claim to fame was his song “A Million To One” recorded by Jimmy Charles & the Revelletts with the Phil Medley Orchestra, which peaked at number five on the Billboard charts in 1960. 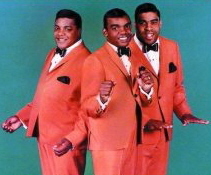 After his first success with writing the 1961 song “A Little Bit Of Soap” by the Jarmels, which peaked at number 12 on the Billboard charts, Bert turned his attention back to “Twist and Shout.” The group the Isley Brothers were then a struggling rhythm and blues act signed to Wand Records who were dying to have their first top 40 hit. 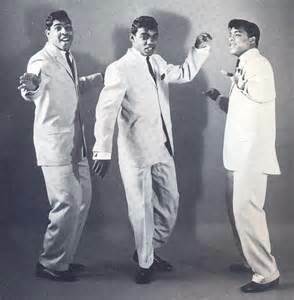 Bert thought to give the song to the Isley Brothers to record in 1962, but this time produce the recording himself. This proved to be the initial success of the song, peaking at number 17 on the Billboard pop charts and launching the successful career of the Isley Brothers. With these accomplishments under his belt, Bert’s career as a songwriter and producer continued to flourish. 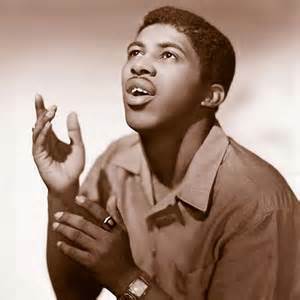 His songwriting achievements include “Tell Him” by The Exciters, “Killer Joe” by The Rocky Fellers, “Hello Walls” by Little Esther Phillips, “I Want Candy” by The Strangeloves and eventually Bow Bow Bow, “Here Comes The Night” by Them (featuring Van Morrison), “Hang On Sloopy” by The McCoys (featuring Rick Derringer) and “Piece Of My Heart” by Emma Franklin, Big Brother and the Holding Company (featuring Janis Joplin) and eventually Faith Hill. In 1963, Bert took over the role as resident songwriter/producer of Atlantic Records from Jerry Leiber and Mike Stoller, and involved himself in every aspect of the recorded product; from finding the singers, working with them in the studio, all the way to overseeing the final product. In this capacity, he worked at launching and stabilizing the careers of such acts as The Drifters, Barbara Lewis, Solomon Burke and Ben E. King. In 1965, Bert continued his mom entum with starting two successful record labels: Bang Records and Shout Records. He continued his production credits by working with The Strangeloves, Van Morrison, The McCoys, Freddie Scott, Emma Franklin and Neil Diamond among others. Tragically on December 30th, 1967, Bert Berns died of heart failure at only 38 years of age. This put a stop to a remarkable run of success that truly transformed the face of pop music in the sixties and influenced the music industry for decades to come. The Isley Brothers, whose version of “Twist And Shout” The Beatles based their version on, have a long standing career which actually spans six decades. This makes them the longest-running charted group in music history. Going through multiple generations of members based with the original three brother line-up of Ronald, Rudolph and O’Kelly Jr., the Cincinnati, Ohio based group spanned many genres of music, including gospel, doo-op, R&B, soul, funk, rock, adult contemporary and even hip-hop. They paved the way for artists to open their own record label, as they used the proceeds from the success of “Twist And Shout” to start their own T-Neck Records in 1965, even beating out The Beatles Apple Records by three years. 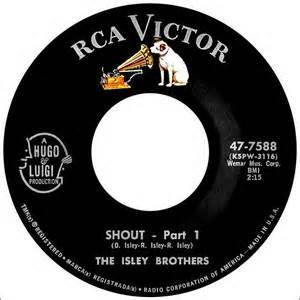 Their first success was with what became an R&B classic, the self-penned “Shout,” which was also performed by The Beatles during their early Hamburg/Cavern years as well as on their British television special “Around The Beatles.” (This version appears on The Beatles album “Anthology 1.”) As the Isleys’ were opening for Jackie Wilson on a tour, Ronald Isley spontaneously and excitedly went into a gospel routine with his brothers while Jackie Wilson was performing. Ronald was yelling out, “you know you make me want to shout,” which was heard by an RCA Records scout that was in the audience. They were then signed to RCA records and recorded their self-penned “Shout,” which peaked at number 47 on the Billboard pop charts. The song eventually reached the top ten in the US (by Joey Dee and The Starlighters), and in the UK (by Lulu). They continued on RCA for a couple of years but were not able to even match the success of “Shout” so they signed with Scepter/Wand Records in 1962. Bert Berns then gave his co-written composition “Twist And Shout” to the Isleys as their first release on the label. The Isleys thought the song was too pop oriented for them, but relented and followed the lead of Bert Berns as his production of the song led to the groups’ first top 40 hit, reaching number 17 on the Billboard pop charts in the summer of 1962. Unfortunately, their career continued to flounder afterwards, as all of their following releases on Wand Records failed to make a dent on the pop charts. Even their self-penned original version of “Nobody But Me,” which eventually became a number eight hit by the Human Beinz in 1968, failed to make an impact for them. They then took the money made from “Twist And Shout” and formed an independent label T-Neck Records and, in 1965, started releasing singles featuring an unknown guitarist Jimmy James, whose real name was Jimi Hendrix. They also tried a stint with Motown Records, which did return them briefly to the top 40 with their Tamla hit “This Old Heart Of Mine (Is Weak For You),” peaking at number 12 on the Billboard pop charts. Motown’s attention was instead primarily focused on their previously established acts, such as The Temptations and The Supremes, so the Isleys re-established T-Neck Records in 1968 as a subsidiary of Buddah Records. By 1969, after recruiting younger brothers Ernie and Marvin as musical members of the group, they had their biggest hit to date, the funk anthem “It’s Your Thing,” which reached number two on the Billboard pop charts as well as number one on the Black Singles chart. Their success continued throughout the sixties, seventies and eighties scoring eight more top 40 singles all on their own T-Neck record label. Hits include “That Lady (Part 1),” peaking at number 6, “Fight The Power – Part 1,” peaking at number 4, and the Steven Stills classic “Love The One You’re With,” which peaked at number 18. They also acquired a total of seven number 1 hits on the R&B charts, including a duet with R. Kelly called “Down Low (Nobody Has To Know)” in 1996. Their 2001 hit “Contagious,” which hit number 19 on the Billboard pop charts, makes a total of five decades of top 40 hits for the Isley Brothers career to date. 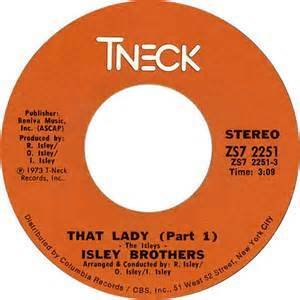 The music of the Isley Brothers has been covered by numerous artists, such as Rod Stewart, Michael Bolton, The Who, The Supremes, Vanessa L. Williams, and sampled by Gwen Stefani, Ice Cube, The Notorious B.I.G. and The Beastie Boys among others. The Isley Brothers were inducted into the Rock And Roll Hall Of Fame in 1992, as well as the Vocal Group Hall Of Fame in 2003. Original member Ronald Isley has been a member of the group throughout its’ charted success, from “Shout” in 1959, through “Contagious” in 2001 and to the present. The impact of the Isley Brothers has been and will be felt in the music industry for many decades to come. George Martin has been quoted as saying that he told The Beatles on February 11th, 1963 to “play me this selection of things I’ve chosen from what you do at the Cavern.” At one point he even said that he purposely arranged for “Twist And Shout” to be recorded last on this day so that Lennon’s voice would create a “linen-ripping sound.” All things considered, with all quotes analyzed, it looks as though the choice to record this song was indeed a last minute decision between all involved in the studio on that day. The actual circumstances appear to be that, after beginning at 10 am that morning, it was now 10 pm. 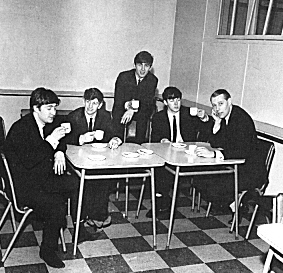 According to engineer Norman Smith, all of their throats were “tired and sore” and the band, plus the recording staff, filed in to the EMI canteen for a small coffee and biscuit break knowing that one more song was required. What would it be? No other original composition was deemed suitable at that time, having deemed the attempted “Hold Me Tight” not good enough to go back and finish at that late hour of the day. Several songs were suggested and vetoed. 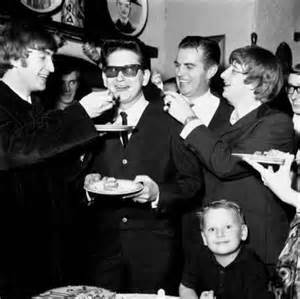 No one can remember who it was that suggested “Twist And Shout” at this point (possibly George Martin) but, despite John’s voice being especially gone by that time, he reluctantly agreed to sing it. He “sucked on a couple more Zubes” throat sweets, gargled with some milk, took his shirt off (for some reason) and went back with the band to record the final song of the day. So the decision to do the song appears to be a true last minute decision. George Martin, being the perfectionist that he is, insisted on trying another take of the song “just in case.” A second complete take was performed (not a false start) but John’s voice could not hold out any longer. The Beatles then insisted on hearing the album played back to them that evening. 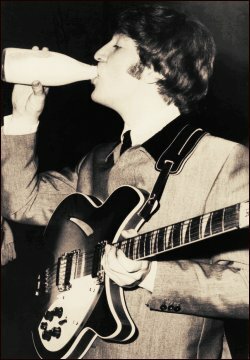 Lennon had stated back then that, since they were “perfectionists,” hearing the album played back was one of their “most worrying experiences.” He said they may have wanted to “do it all over again” if they weren’t happy with it, but they decided that they “were very happy with the result.” This extended the session to 10:45 pm, at which time Brian Epstein, who had also been present for this historic day, gave engineer Richard Langham a ride home to Camden Town. On April 19th, 1964, The Beatles made a further audio recording of the song at IBC Studios in London in preperation for the television special "Around The Beatles" which was first broadcast on British Television on May 6th, 1964. The Beatles arrived in the recording studio sometime in the early evening on this day in April, recording seven selections on three-track tape with Terry Johnson as balance engineer and Glyn Johns as second engineer and tape operator. 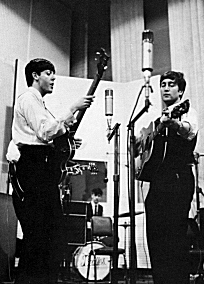 The recording session was over by 8:30 pm, all ready for The Beatles to mime to for the filming of the show on April 28th, 1964. Then came The Beatles' August 23rd, 1964 concert at the Hollywood Bowl in Los Angeles, California. This concert was recorded with the intention of Capitol releasing a live album for the American market. 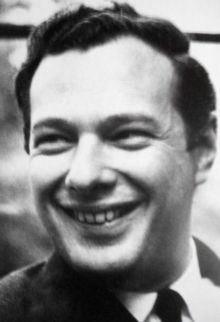 Capitol vice president Voyle Gilmore shared production credit with George Martin and Hugh Davies has been indicated as engineer of the recording. 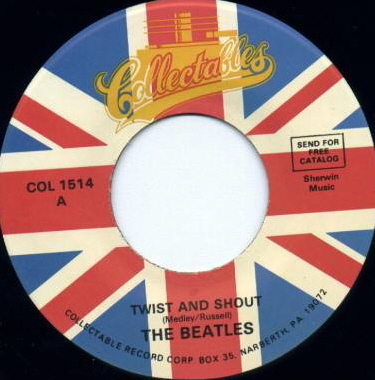 Although this project was abandoned until the 1977 release of the "Beatles At The Hollywood Bowl" album, this version of "Twist And Shout" did get a partial release on the "The Beatles' Story" documentary album released in November of 1964. 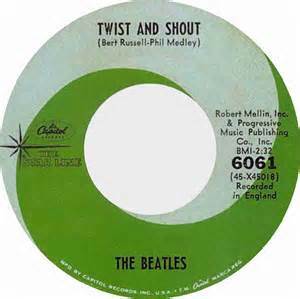 To give a complete recording history for this song, two additional takes of "Twist And Shout" did occur in January of 1969 during the rehearsals for what eventually became the "Let It Be" album and movie. 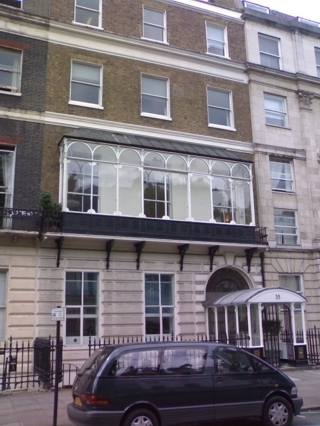 The first was on January 8th at Twickenham Film Studios and the second was on January 26th at Apple Studios. Neither of these brief attempts were included on the album or the movie or were released officially in any form. Incidentally, Glyn Johns, who is mentioned above as second engineer at their IBC Studio session on April 19th, 1964, was hired as producer for this Beatles project. 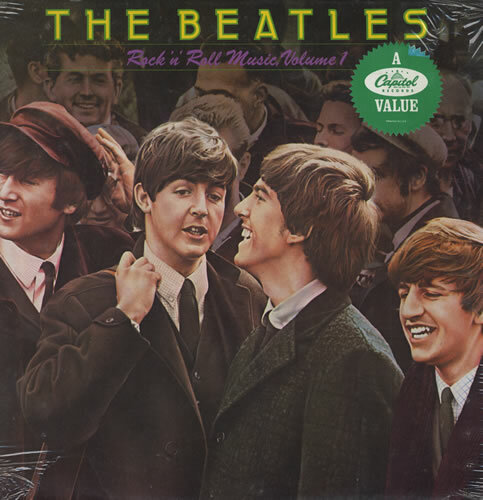 This song was primarily only written with verses, which make it unique on this album as well as the entire Beatles catalog. For the sake of continuity, we will refer to the instrumental ‘solo’ section, as well as the vocal arpeggio of the song, as the bridge, since it separates the second and third verses and relieves the tension created in the first two verses. This will then put the song in the same general structure as most of the rest of the album, namely 'verse /verse /bridge /verse' (or aaba). But there is more here than meets the eye. First we have a four bar instrumental introduction which creates an anticipatory feeling. We then dive headlong into the first exciting verse with its’ question/answer delivery, which comprises 16 bars. The second 16 bar verse follows immediately afterwards which alter the lyrics only in the second half of the verse. The bridge then follows, which is actually a two-part section of the song that totals 14 bars. The first eight bars comprise the instrumental ‘solo’ section of the song, while the remaining six bars contain the climatic vocal arpeggio of the song, which lead directly back into the third verse, which is identical to the first verse. Through to this point, the structure of the song is identical to the Isley Brothers hit which is the version that influenced The Beatles to perform this song. At this point in the song, The Beatles adapt the Isley’s version in order to create a fitting resolve to the song suitable to performing it on stage. This was necessary because of the fade out ‘vamping’ that completes the song on the Isley Brothers record. The Beatles go into six bars of ‘vamping’ to simulate what the Isley’s did to end their version of the song, but then go into an additional five bars to partially repeat the climatic arpeggio before creating a rousing resolve accented with tight triplets. 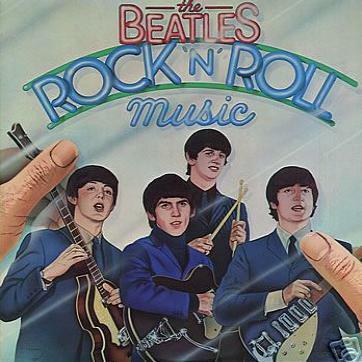 A unique aspect of The Beatles version of “Twist And Shout” as compared to the Isley Brothers version is that The Beatles transform the song from a pop/R&B performance with a touch of Latin influence into the hardest rock and roll record The Beatles recorded thus far. Gone was the brass instrumental ‘solo’ section of the song, replacing it with guitar. Gone was the R&B sounding answer harmonies, replacing it with British accents. Gone was the repeated ‘vamping’ vocals at the end of the song, replacing it with a second arpeggio and stage conclusion. While the Isley Brothers impressively took the “twist” craze into a more respectable R&B categorization, The Beatles took the same classic song into rock and roll where it will forever be. As for The Beatles performance of the song, all four members of the group are at their peak, which is an understatement when you consider the ‘chills down the spine’ sensation the song creates. One can only imagine being in the studio to hear this actual ‘once in a lifetime’ performance as it happened. Those who were there attest to the excitement created by four guys who, after recording for over 12 hours with hardly a break, perform what is arguably the finest performance of their career. McCartney himself even shouts a congratulatory “yeah” at the end of the song, acknowledging that something exceptionally great has just happened. 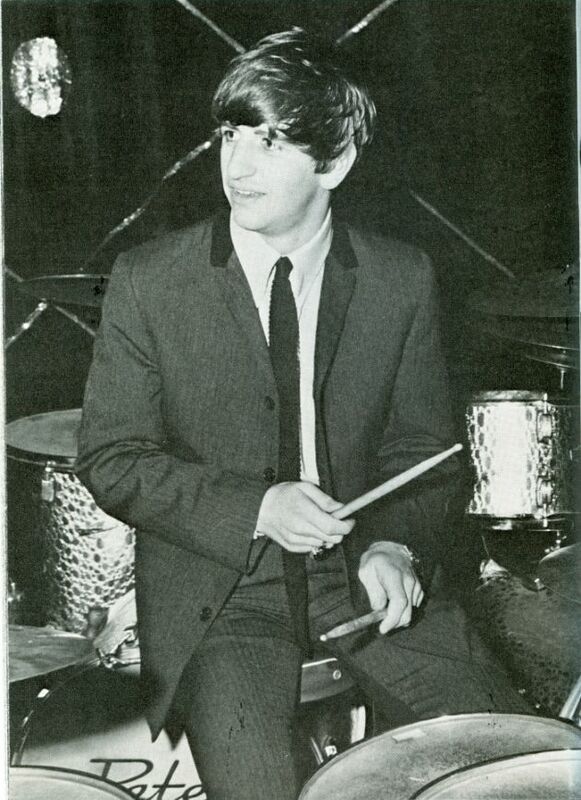 Ringo rocks the drums the hardest on “Twist And Shout” as compared to any other song on the album. The appropriate drum fills, as well as knowing when to effectively ride on either the high-hat or ride cymbal, gives the song its’ hard drive from beginning to end. 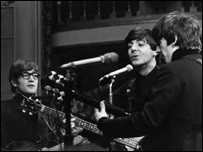 The tight accents Ringo performs, such as during both arpeggios and the songs’ conclusion, show how rehearsal always equates to perfection, remembering this was the bands’ first attempt of the song that day. 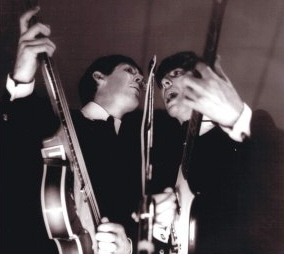 Both George and Paul play their respective instruments with well rehearsed accuracy and enthusiasm. Both their harmonies, while not major ‘attention-getters’ for the song, are essential ingredients that add the needed flavor and excitement to the overall performance. Not a hint of faltering can be found in their ‘spot-on’ two part harmonies as well as their “woo” accents after every eight bars of each verse. The most noteworthy performance of course goes to John Lennon for his ground-breaking vocal work. The key they had learned the song in was at the top of his vocal range, so Lennon knew it would be a challenge from the beginning knowing the condition of his throat at the time. This proved to be greatly advantageous, giving a rough and uninhibited quality to his vocal performance, creating a blueprint for all rock and roll acts to mimic. In order to complete the picture, it must be mentioned that Lennon’s rhythm guitar work, while not magnificent in itself, was performed simultaneously with his exceptional vocal delivery. That is a true indication of a talented musician and performer. If, when you’re physically tired and sick, you can pull off the performance of a lifetime vocally and simultaneously play top-notch rhythm guitar, it is truly a feat in itself. The first US exposure to “Twist And Shout” by The Beatles was on the Vee Jay album “Introducing…The Beatles,” released on January 10th, 1964. On February 9th, 1964, The Beatles taped three songs in the Ed Sullivan Studios to be aired two weeks later on the February 23rd Ed Sullivan Show. 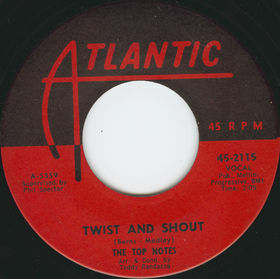 The first of those three songs was “Twist And Shout.” With this in mind, Vee Jay records thought to release the song as a new single. 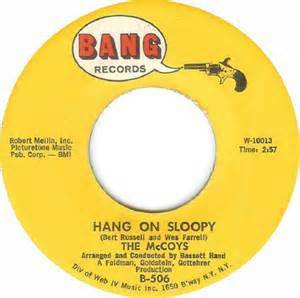 They released this single as the first release on their newly formed Tollie Records subsidiary. The song reached number two on the Billboard pop charts and would no doubt have topped the charts if it hadn’t been for the March release of their second Capitol Records single “Can’t Buy Me Love,” which leaped to number one in its’ second week on the charts. 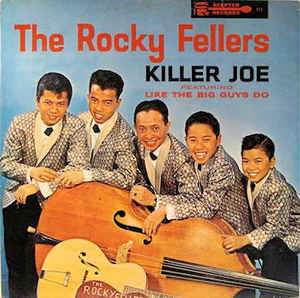 The next US release of the song occurred in August of 1964 with the re-release of the Tollie single on the Vee Jay “Oldies 45” label. It was then released on October 1st, 1964 on the Vee Jay double-album “The Beatles vs. The Four Seasons,” which coupled the “Introducing…The Beatles” album with “The Golden Hits of the Four Seasons.” The next appearance came less than two weeks later with another repackage of the Vee Jay album under the name “Songs, Pictures And Stories Of The Fabulous Beatles,” released on October 12th, 1964. As stated earlier, Capitol Records gained possession of the song in October of 1964. 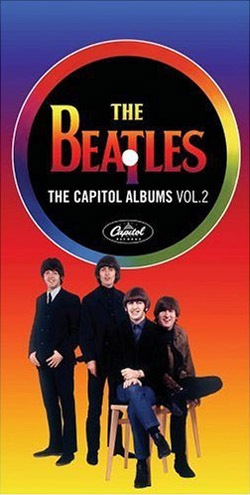 The first appearance in any form on Capitol was a partial version of the song as they performed it at the Hollywood Bowl on the double documentary album “The Beatles’ Story.” This was taken from their August 23rd, 1964 performance, which is not available anywhere else but on this album. Although it’s only a partial version of the song, it is noteworthy because of its rarity. 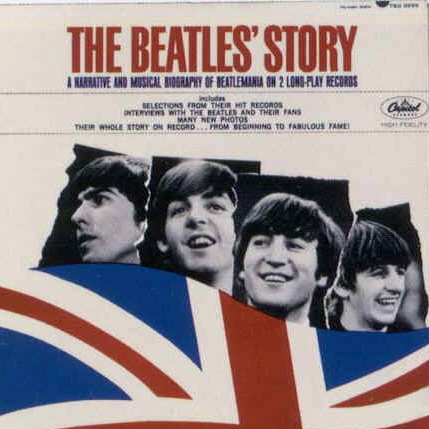 Surprisingly, "The Beatles' Story" was also released on compact disc on January 21st., 2014, but only as contained in the 13 album box set "The U.S. Albums." 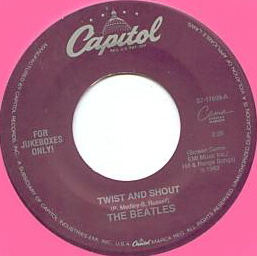 Capitol then released “Twist And Shout” on their album “The Early Beatles” in March of 1965. Capitalizing on it being a huge US hit, they positioned it as the second song on side one. This album then appeared on an individual CD on January 21st, 2014, this CD containing both the mono and stereo mixes on one disc. This was the seventh release of the song, followed by its release as a Capitol single on their Starline budget label on October 11th, 1965. Sometime in 1967, Capitol released Beatles music on a brand new but short-lived format called "Playtapes." These tape cartidges did not have the capability to include entire albums, so two truncated four-song versions of "The Early Beatles" were released in this portable format, "Twist And Shout" being on one of these. These "Playtapes" are highly collectable today. The song was left off of the “1962 – 1966” greatest hits package of 1973 (aka, the “Red Album") because of it not being an original Beatles composition, but the companion double-album of June 1976, “Rock ‘n’ Roll Music,” featured the song as its’ opening track. George Martin created a new mix of the song for this release. The next release of the song was as a live version that was originally recorded on August 30th, 1965 at the Hollywood Bowl. The Capitol album “The Beatles At The Hollywood Bowl” was released on May 4th, 1977 and, since a resurgence in Beatles popularity was under way, ended up peaking at number two on the Billboard album charts. This album was eventually remastered by Giles Martin and re-released on September 9th, 2016 with the title "Live At The Hollywood Bowl," "Twist And Shout" still being the opening track of the album. The next release was actually a re-release of the ninth release. The “Rock ‘n’ Roll Music” double album of 1976 became two single albums, the first one titled “Rock ‘n’ Roll Music Volume 1,” featuring “Twist And Shout” as its lead off track. This was released on October 27th, 1980. 1981 saw the next release of the song on an album titled "Live 1962, Hamburg Germany" on the Hall Of Music label. This live performance took place on December 31st, 1962 in Hamburg and was originally recorded from the audience with a portable Grundig reel-to-reel tape recorder. In 1982, the Collectables record label released a single featuring the Hamburg, Germany version of the song as the B-side to the Lennon / McCartney original "Ask Me Why," which was also recorded on the same date in Hamburg. 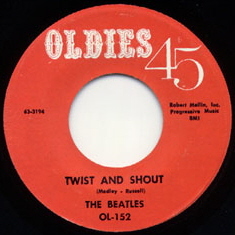 This short-lived single therefore became the next release of "Twist And Shout." Proving that you can’t keep a good song down, the song had a resurgence of popularity in 1986 by being featured in two very successful movies simultaneously. Matthew Broderick lip-synced the song in the hugely successful film “Ferris Bueller’s Day Off,” while Rodney Dangerfield sang (sort of) the song in his film “Back To School.” All this attention led to Capitol Records re-releasing the single, which propelled the song back up the Billboard charts, peaking at number 23. On February 26th, 1987, the first official Beatles compact disc was released which happened to contain "Twist And Shout." 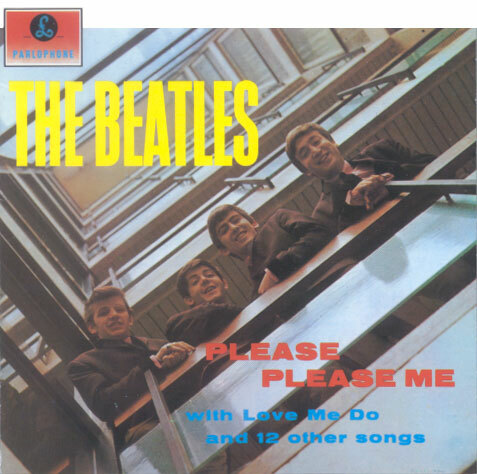 This CD, the original British "Please Please Me" album, was at first only issued in mono, but on September 9th, 2009, the newly re-mastered stereo edition was released. 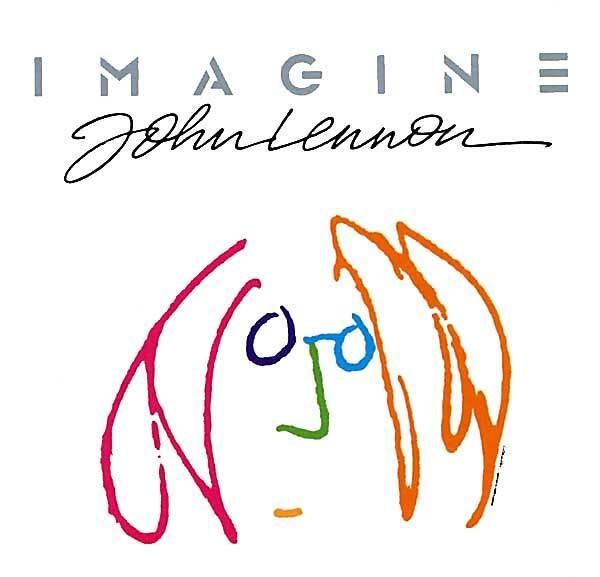 The next release of the song was actually not on a Beatles album, but on the soundtrack for the documentary film “Imagine: John Lennon.” The double album (or single CD), released on October 10th, 1988, featured highlights of his career with The Beatles as well as his solo career. The album peaked at number 31 on the Billboard album charts and remains in print to this day. On June 30th, 1992, Capitol released the box set “Compact Disc EP Collection,” which featured the original British EP “Twist And Shout” as it came out on July 12th, 1963. Capitol reissued the "Twist And Shout/There's A Place" single once again, but this time under the Cema Series primarily for jukeboxes. This unique release of the song on March 10th, 1993 was on pink vinyl, which is becoming more and more of a collectors' item. 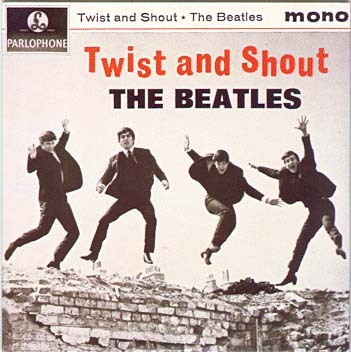 Being that “Twist And Shout” came up slightly short of being a number one hit, it failed to make the groundbreaking Capitol album “Beatles 1” in 2000. However, the song can be found on the box set "The Capitol Albums, Vol. 2” in both stereo and mono, which was released on April 11th, 2006. September 9th, 2009 saw the next US release of the song on the box set “The Beatles In Mono,” which included the entire Beatles catalog that was originally mixed in mono but in a cleaner re-mastered condition. Definitely worth the price. 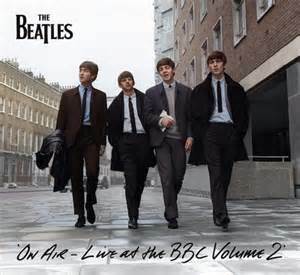 On November 11th, 2013, the album "On Air - Live At The BBC Volume 2" was released which featured an unheard version of "Twist And Shout" recorded on July 16th, 1963 for the radio program "Pop Go The Beatles." The clarity of this recording, as well as the flawless performance, makes this album a must-have for true Beatles fans. Also released around this date was a fourteen-track sampler of the above album for promotional purposes, "Twist And Shout" being included therein. “Twist And Shout” had quite a long performance history for The Beatles. Although the Isley Brothers' single sold very poorly in Britain, The Beatles picked up on it shortly after its U.K. release in the summer of 1962, undoubtedly becoming acquinted with it while filing through new releases at Brian Epstein's NEMS record department. They consistently included the song in their stage act well into their national discovery and American “Beatlemania,” still performing it in their Summer 1965 North American Tour, including their performance at Shea Stadium. 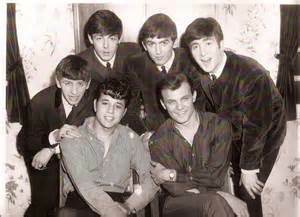 Their March 1963 British tour with headliners Tommy Roe and Chris Montez also featured the recently recorded song. (Since the album wasn’t released in Britain until March 22nd, the audiences for most of this tour were still hearing an unreleased song.) Since The Beatles were getting applause on a greater scale than both of the tour’s headliners, tour manager Arthur Howes had the running order of the show changed to allow for The Beatles, as well as “Twist And Shout,” to close the show. Their May British tour headlining with Roy Orbison also featured the song, as well as the rest of their concert dates throughout 1963, including the most noteworthy 1963 Royal Command Performance on November 4th at the Prince of Wales’ Theatre. 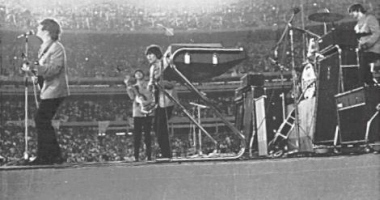 “Twist And Shout” was the third of three songs they performed on that historic day, which included the rehearsed but comedic “rattle your jewelry” introduction by Lennon. As far as BBC radio performances are concerned, there were nine. The first was recorded on November 27th, 1962, which is their first officially documented performance of the song (although sources claim it was performed in their stage act prior to this date). It was aired on the BBC show “The Talent Spot” on December 4th. The next recording for the BBC was on April 18th, 1963, which was a live performance for the show “Swinging Sound ‘63.” May 21st saw the song performed for the show “Steppin’ Out,” although the song was not broadcast. 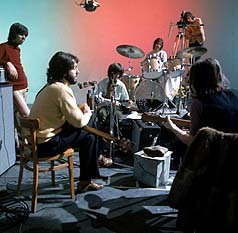 June 17th saw the recording of the song for the show “Pop Go The Beatles,” which aired on June 25th. 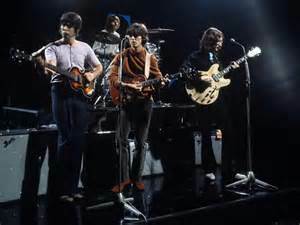 On July 16th, they recorded it once again for “Pop Go The Beatles,” which aired on August 6th. The next day (July 17th), they recorded the song for “Easy Beat,” which broadcast on July 21st. On July 30th, they recorded the song for “Saturday Club,” which aired on August 24th. 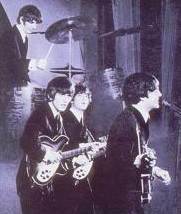 August 1st saw them record the song for another “Pop Go The Beatles” show that aired on August 27th. 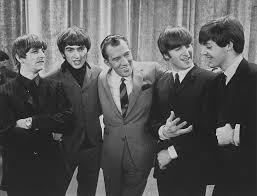 Their last BBC recording was on September 3rd, 1963 for another “Pop Go The Beatles” that aired on September 24th. Incredibly, The Beatles performed "Twist And Shout" a total of 18 times on TV around the world. 1. "People And Places" (Dec. 17th, 1962 live U.K.) 2. "Scene At 6:30" (Aug. 14th, 1963 U.K.) 3. 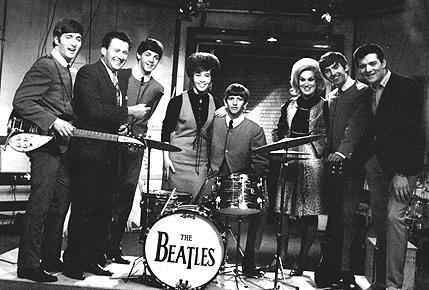 "The Mersey Sound" (filmed Aug. 7th, aired Oct. 9th, 1963 U.K.) 4. "Big Night Out" (mimed Sept. 1st aired Sept. 7th, 1963 U.K.) 5. "Ready, Steady, Go!" (mimed live Oct. 4th, 1963 U.K.) 6. "Val Parnell's Sunday Night At The London Palladium" (mimed live Oct. 13th, 1963 U.K.) 7. "Drop In" (filmed Oct. 30th aired Nov. 3rd, 1963 Sweden) 8. "Royal Command Performance" (filmed Nov. 4th aired Nov. 10th, 1963 U.K.) 9. "It's The Beatles!" (filmed and broadcast Dec. 7th, 1963 U.K.) 10. "Thank Your Lucky Stars" (mimed Dec. 15th aired Dec. 21st, 1963 U.K.) 11. "Val Parnell's Sunday Night At The London Palladium" (Jan. 12th, 1964 live U.K.) 12. 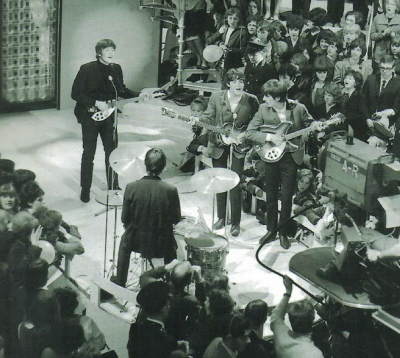 "The Ed Sullivan Show" (filmed Feb. 9th aired Feb. 23rd, 1964 U.S.) 13. "Big Beat '64" (filmed April 26th aired May 10th, 1964 U.K.) 14. "Around The Beatles" (mimed April 28th aired May 6th, 1964 U.K.) 15. "The Beatles In Nederland" (filmed June 5th aired June 8th, 1964 The Netherlands) 16. "The Beatles Sing For Shell" (filmed June 17th aired July 1st, 1964 Australia) 17. "Les Beatles" (filmed June 20th aired Oct. 31st, 1964 France) 18. "The Beatles At Shea Stadium" (filmed Aug. 15th, 1965 first aired March 1st, 1966 in U.K. and Jan. 10th, 1967 U.S.). Also of interest is an eight minute "Techniscope" color newsreel entitled "The Beatles Come To Town" which was seen in British movie theaters before the feature film was shown. 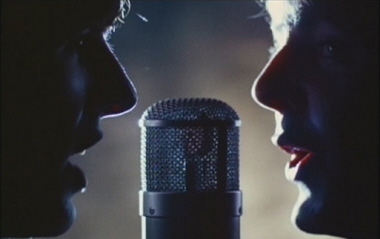 The sequence that featured "Twist And Shout," along with "She Loves You," was filmed during their concert at the ABC Cinema in Lancashire on November 20th, 1963. British theaters featured this newsreel the week of December 22nd, 1963. 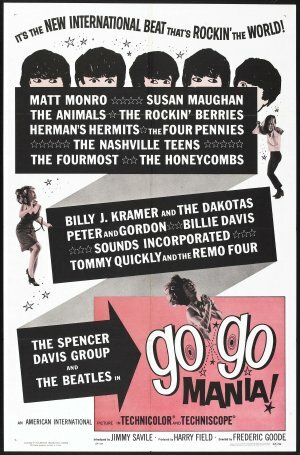 The concert footage of these two songs were later incorporated into a 70 minute 1965 feature film entitled "Pop Gear" in Britain and "Go Go Mania" in America. One further noteworthy performance of the song was on February 19th, 1987 by an impromptu group posthemously called "The Silver Wilburys." This one-time jam took place at the Palomino Club in Hollywood, California with George Harrison, John Fogerty and Bob Dylan on stage. Their 15 song set ended with a medley of "Twist And Shout" and "La Bamba." 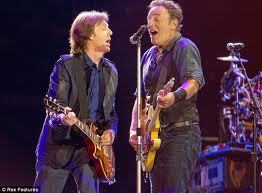 Paul then paid a surprise visit to Bruce Springsteen and The E. Street Band's performance at the 2012 Hard Rock Calling show to perform two songs, "I Saw Her Standing There" and “Twist And Shout.” Interestingly, when Paul sang lead on a few of the verses, he habitually got the words wrong. We can forgive him since he never sang lead vocals on the song until this day. Beatles on the Morcambe and Wise Show, November 1963. What The Beatles had created with their rendition of “Twist And Shout” became an essential ingredient to their notoriety. The wild nature of the song, including the climactic vocal arpeggio appearing twice in the song, helped excite audiences worldwide (even hard to please Paris audiences) as well as define The Beatles themselves. Fine evidence of this is The Beatles’ appearance on the British television show, “The Morcambe And Wise Show,” in which a ‘beatle-wigged’ host twice exclaims “twist and shout” in a light-hearted imitation of their guests. The Beatles truly made the Isley Brother’s classic hit their own. Although British audiences never saw this song as a Beatles single, Parlophone Records saw fit to release this as the title song to their first British EP. Released in July of 1963, it was the top selling EP record by September of that year, which was simultaneous with the number one album “Please Please Me” and the number one single “She Loves You.” To this day, “Twist And Shout” is the biggest selling British EP in history. Not that the song was unknown on the British singles charts. 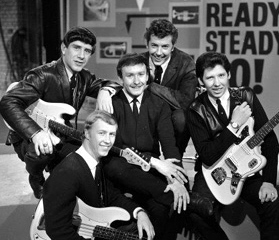 Brian Poole and the Tremeloes, the group that got chosen by Decca Records instead of The Beatles during their January 1962 audition, recorded their own version of “Twist And Shout” which became their first hit single, charting at number four in Britain. Their version owed a lot to The Beatles version which allowed them to, ironically, ride on The Beatles coat-tails to fame and fortune in Britain and the US. No more fitting a conclusion to The Beatles first album (British and American) could there be but this All-American R&B classic turned British Invasion classic. When listening to this song even today, the passion felt by these four young musicians is clearly discernable. The Beatles may have tired of playing it after over two years of non-stop performances, and everyone alive on this planet may have every note and word memorized, but what is undeniable is this fact; with “Twist And Shout,” The Beatles recorded the best British rock and roll record to date. "There's A Place" PREVIOUS - NEXT "I Want To Hold Your Hand"